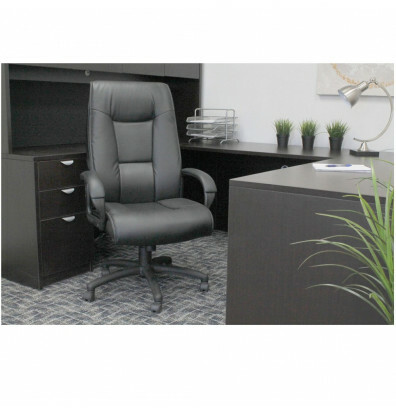 Boss high-back executive office chair with padded armrests is upholstered in durable and soft black LeatherPlus. 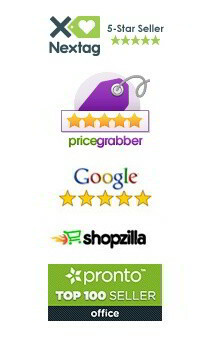 Features include upright tilt lock, tilt tension control, and seat height adjustment. 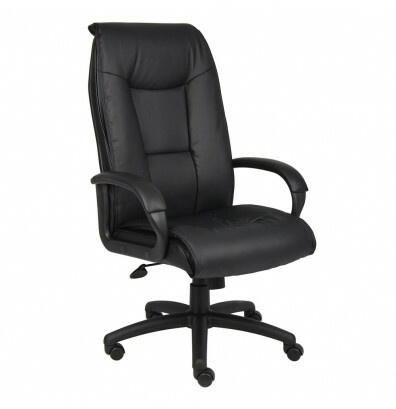 Boss high-back executive office chair with padded armrests is upholstered in durable and soft black LeatherPlus. Features include a tilt lock which secures the chair in an upright working position. Pneumatic gas lift provides instant height adjustment of the seat. This executive chair has adjustable tilt tension that provides more stability and back support for added comfort. The ergonomic seat design offers a contoured pillow top cushions and a waterfall seat edge. A large 27" five star nylon base with double hooded wheel casters distribute weight over a broader surface, which protects both casters and floors from wear. This chair has an optional knee-tilt that allows the feet to stay flat on the floor when the chair is tilted backward, relieving pressure from the back of the leg. Chair tilts from the front of seat, keeping feet on the floor.